When I was sent the Blush Me Blush Box in Rouge by MeMeMe Cosmetics, I have to be honest and say that I wasn’t really expecting much. This brand seems to have made its name by selling products that look similar to those by Benefit cosmetics at a cheaper price range but, since I’ve never been intrigued by Benefit blushes, these seemed underwhelming. Now that I’ve tried it though I can say that this blush definitely exceeded my expectations. The product came with its own brush which turned out to be of a surprisingly good quality but I can’t bring myself to use it since I love my NARS Yachiyo brush too much for all my blush application needs. 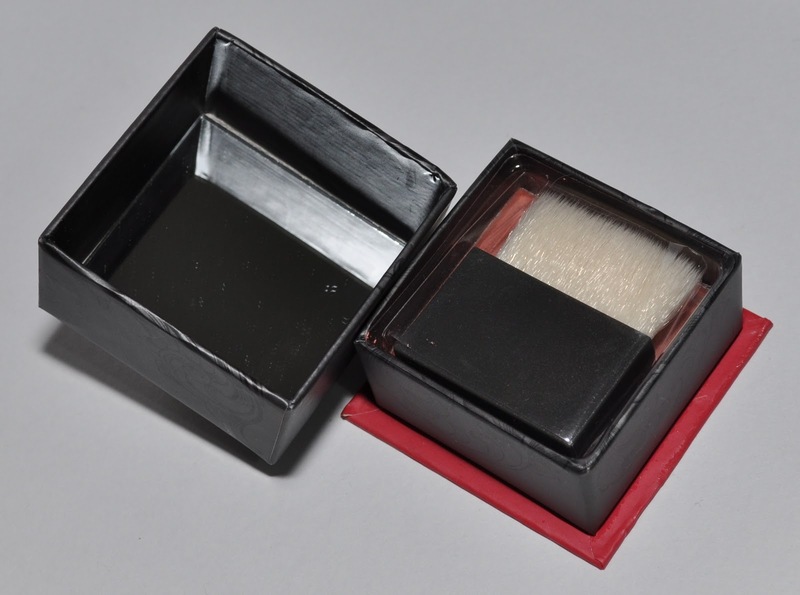 The box also has a mirror included inside the lid which, while a cute idea, is a bit impractical since the depth of the box lid tends to create shadows on the mirror. 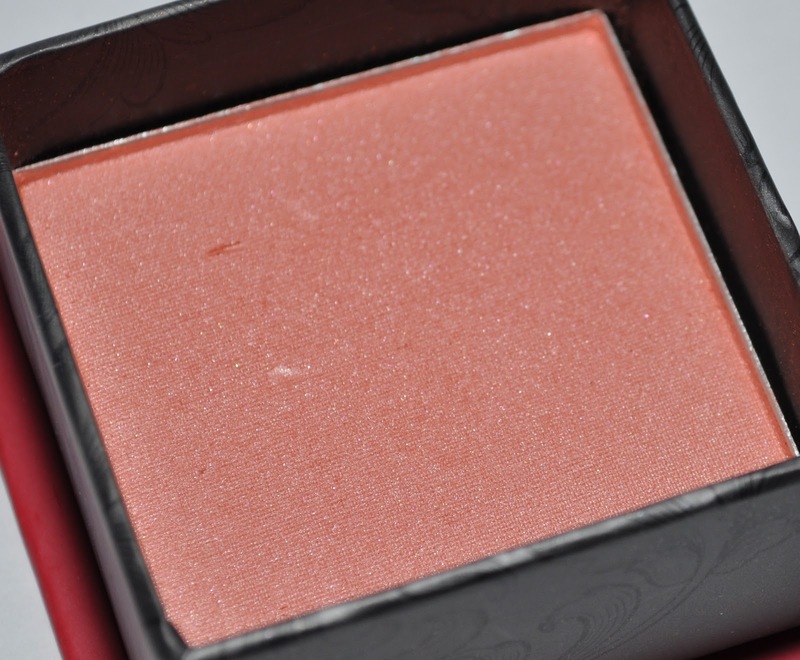 I also think mirrors in blush compacts are a bit of a useless endeavour since I don’t know many people who cart their blush around with them and reapply through out the day. The colour itself was not what I was expecting from the shade name ‘Rouge’. I thought I’d be getting a bright red but this is actually more of a rosey coral colour. I say ‘rosey coral’ because sometimes this shade seems more pink but at others I can see a definite peachy orange tone peeking through. The blush itself is really soft and applies really well and I find that it lasts quite well on me but I do always apply a light dusting of translucent powder or face powder on top to blend my foundation and blush. Here it is swatched heavily on the left and lightly on the right. 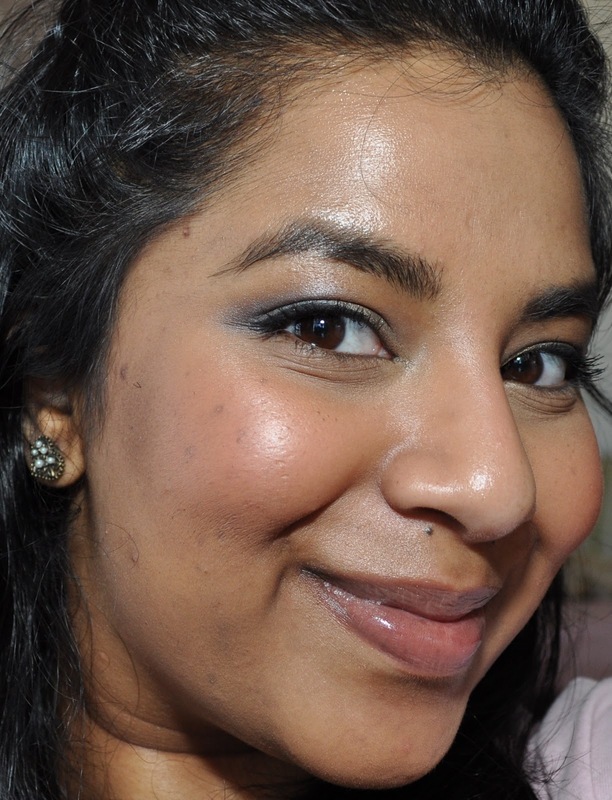 You can see that it’s not a very intense shade against my NC42 skin tone but here’s the thing… I actually love it! I love a bright pigmented blush but there are some days when I miss just swirling my brush around in the container and applying it straight to my cheeks and this blush lets me do that. I don’t get this luxury with my bright blushes and instead have to tap the product lightly and then get rid of the excess before applying the colour to my cheeks(NARS Exhibit A I’m looking at you). I tried to capture a before and after of how this blush looks on my face but the difference is quite subtle so hopefully you can notice it. 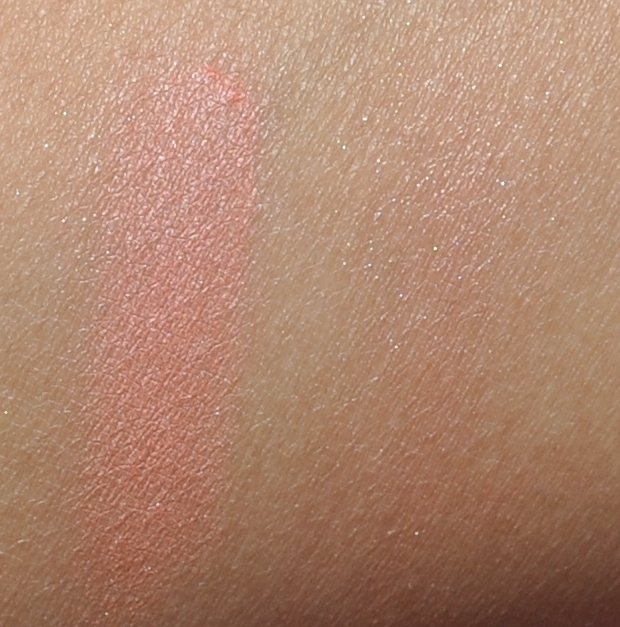 On the left is without blush and on the right is with blush. If you’re of a fairer skin tone then you’ll have to be more careful when applying this blush as it will obviously be more noticeable on you. I’ve been reaching for this blush constantly ever since I received it because it’s easy to wear and pretty fool proof for my skin tone. 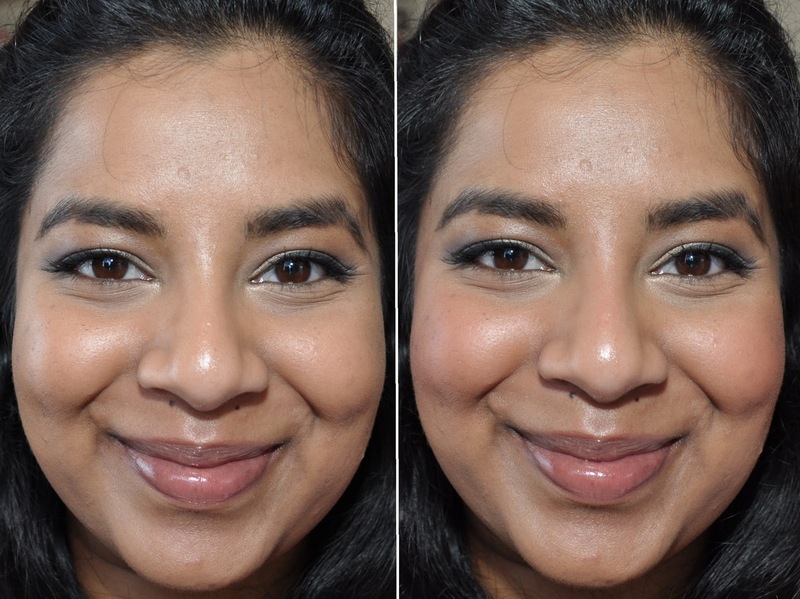 It also works really well for days when I wear darker or brighter eye makeup and need a bit of colour on my cheeks but nothing too distracting. I also love the fact that it isn’t too shimmery so the finish is a really pretty natural sheen. I would definitely recommend this blush but if you’re a lot fairer and want a similar colour that isn’t so pigmented then I’d recommend Smashbox Radiance blush instead. 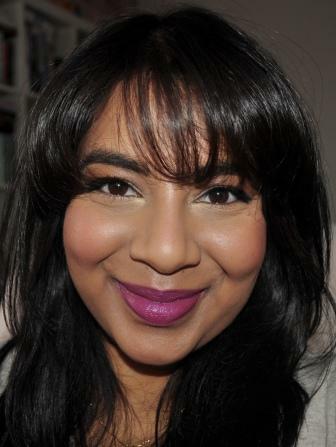 If you’re quite a bit darker than me then I’d recomment NARS Torrid for a similar shade with more intensity and pigmentation. 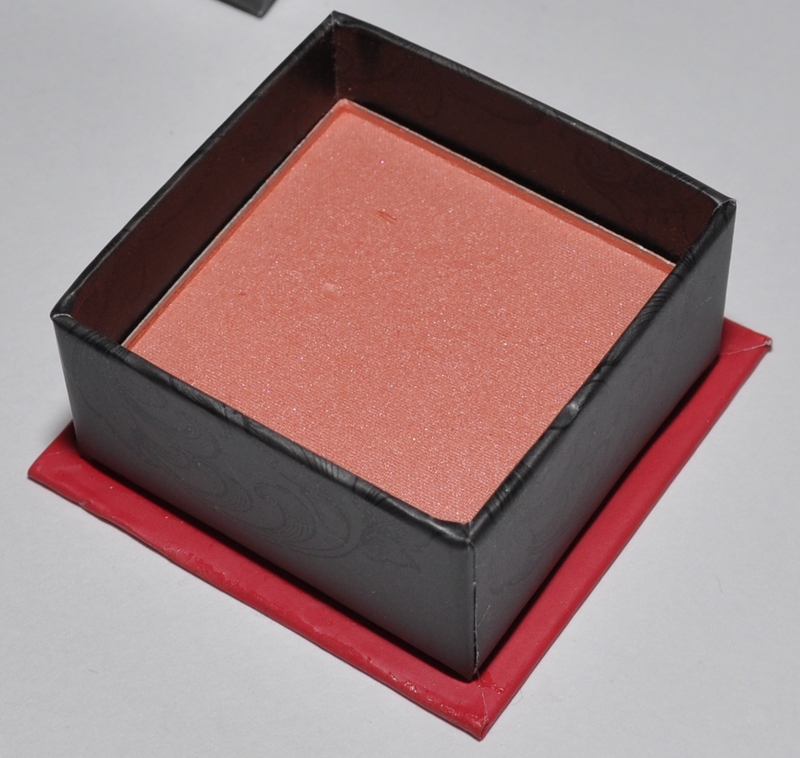 This blush is available for purchase online at mememecosmetics.com.uk for £8.50 and will be available for purchase at mememecosmetics.com.au from the end of October for $21.95AU. What do you think of this blush? Have you tried any of the other shades from this range? Also, what’s your fool proof blush shade? Let me know below! ← MAC Matchmaster Foundation: Match made in heaven?